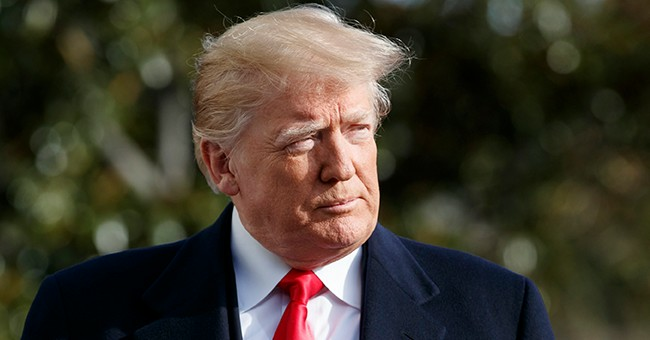 President Trump threatened to close the southern border if Democrats continue obstructing border wall funding. In a series of tweets Friday morning, Trump argued that doing so would be a “profit making operation” given the vast amount of money the U.S. is losing on trade with Mexico. “We will be forced to close the Southern Border entirely if the Obstructionist Democrats do not give us the money to finish the Wall & also change the ridiculous immigration laws that our Country is saddled with. Hard to believe there was a Congress & President who would approve!” he said. “The United States looses soooo much money on Trade with Mexico under NAFTA, over 75 Billion Dollars a year (not including Drug Money which would be many times that amount), that I would consider closing the Southern Border a “profit making operation.” We build a Wall or close the Southern Border. Bring our car industry back into the United States where it belongs. Go back to pre-NAFTA, before so many of our companies and jobs were so foolishly sent to Mexico. Either we build (finish) the Wall or we close the Border,” Trump continued. He went on to say that many Central American countries are doing nothing for the U.S. and if another caravan forms and El Salvador, Guatemala, and Honduras do nothing about it, the U.S. will retaliate. There has been a partial government shutdown since last week when the House passed legislation that included $5.7 billion in border wall funding, but it appeared to be dead on arrival in the Senate where it was clear the 60-votes required would not be reached.